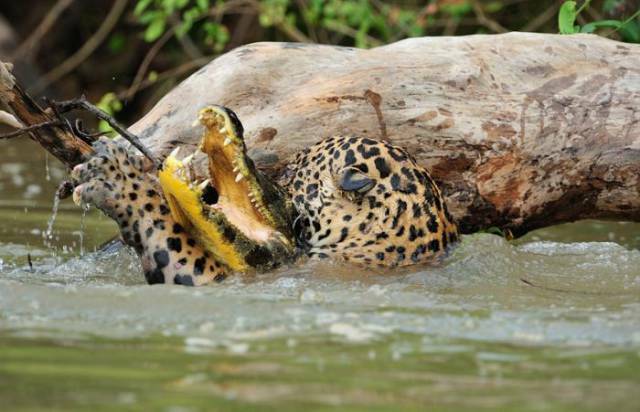 From tigers to lions, felines are, undoubtedly, some of the most fearsome predators in the world. And sometimes, their skills extend beyond chasing down a stray mouse or the weakest buffalo in the herd. 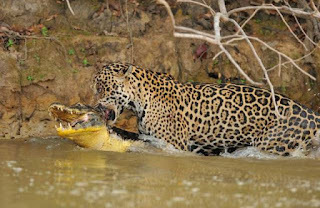 Photographer Luiz Claudio spotted a jaguar sipping from the Piquiri River in the Patanal wetland in Mato Grosso State, Brazil. 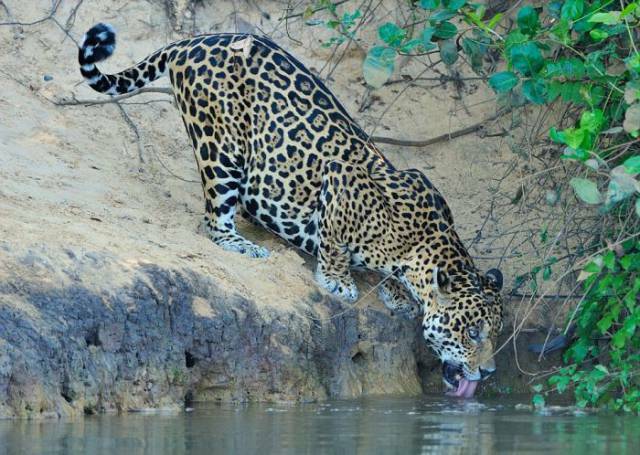 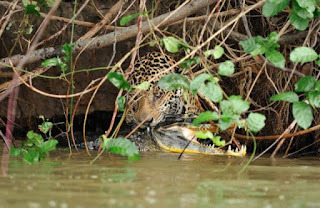 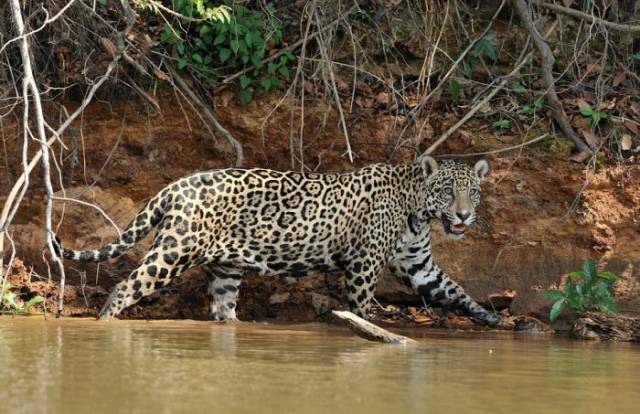 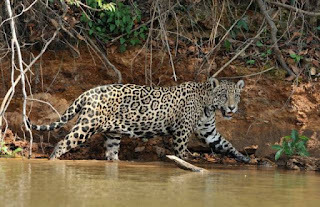 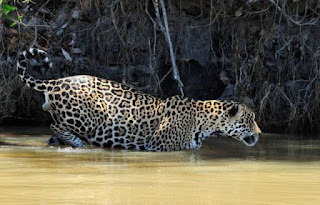 So he pulled out his camera and began shooting— and documented one of the strangest things we’ve ever seen.A jaguar near the Piquiri River in Brazil began drinking water from the safety of the bank, but she wasn’t going to stay there long. 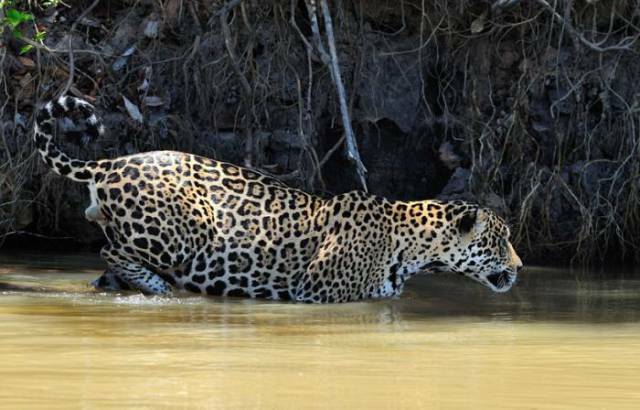 The 220-pound cat suddenly caught sight of something in the water — and moved in for an attack. That’s when she sized up her target and went in for the kill.